Watch full Ginga Eiyuu Densetsu Season 2 Episode 26 English Subbed full HD online. Ginga Eiyuu Densetsu Episode 52 English Subbed online for free in HD. The Battle of Vermillion – Part II. Yang organizes his fleet for a blitzkrieg directly at Reinhard’s flagship, the Brunhilde. Reinhard divides his fleet into multiple layers of ships, providing a rotation for each broken layer. Ivan Konev is killed in battle when his strike craft is lured into cruiser fire. Yang realizes that it has become an issue of endurance if Reinhard’s fleet is continuously reforming the front line. The Alliance fleet tricks Reinhard’s front line into entering an asteroid field. 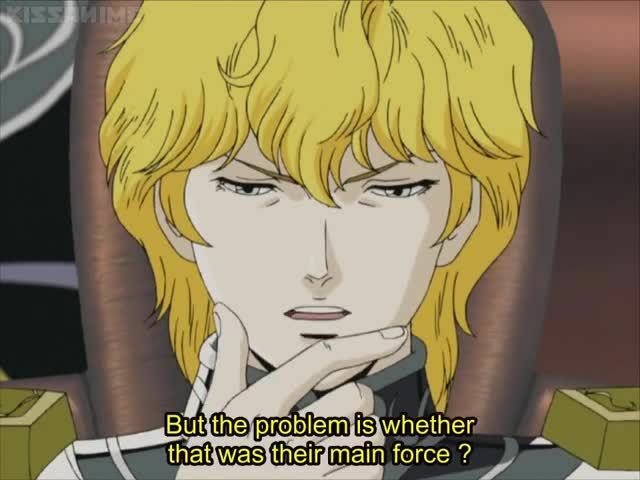 Reinhard is divided from his main force as that group is surrounded by Yang’s fleet. MÃ¼ller’s fleet is the first to return, rescuing the Brunhilde and acting as a shield.